I woke up early this morning. I brewed a short pot of organic, fair trade coffee. I planned my day, scheduling my many tasks, so that I might get done all I choose to get done in a single spiral of daylight. As I brewed a second pot of java I was drawn to the outdoors. When I opened the back door I witnessed light reflecting on the deck that looked, at first glance, like chunks of snow. My left brain dismissed that perception as I stepped out into the darkness of the pre-dawn day. The air was brisk, but not bitter. I looked up and there it was, the winter sky. My friend, the clear, sparkling winter sky. It danced its crisp, shimmering gambol above me as the winds did the same around me, all the while enticing the trees to sing their wisdom of Peace to all in earshot. It was an infinite moment of Peace. 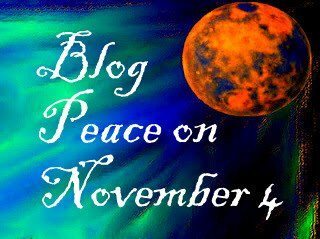 Join us today for BlogBlast4Peace. Blog a piece on peace or visit the many Peace Bloggers from around the globe and leave them some LoVe. 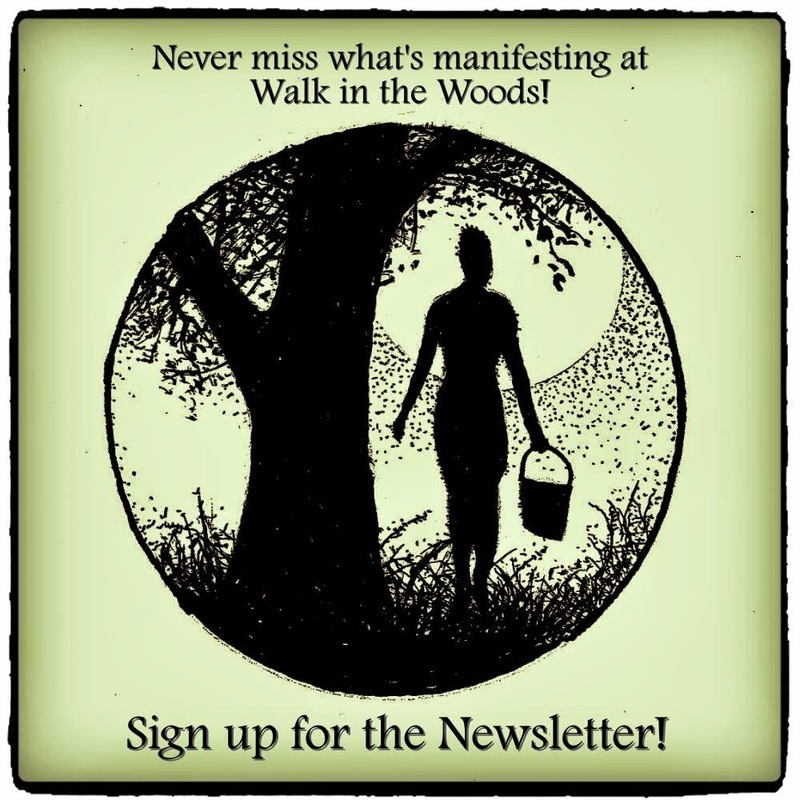 Learn more at BlogBlast4Peace. Today I harvested beans, broccoli, eggplant, jalapeno peppers, leeks, more (and it looks like the last of the) tomatoes. I also did some garden clean-up. I combined everything in a heavy-bottom pot, brought it to the boil uncovered, then simmered it, uncovered, to a jam consistency, stirring often. This took over three hours, but it heated my little hut and smelled divine. When ready I packed it into sterilized pint jars and processed for 15 minutes in hot-water bath. This made not quite six pints, so we'll use the less-filled jar first … and I'll be adjusting this recipe so I can get a full seven pints. I'm not sure if I ever mentioned that The Boy was building us a chicken coop. Well, he did, and this past weekend we visited some dear friends and came home with four hens. I love observing them as they wander around our little acre. I love gathering the eggs and creating meals and dishes with them. I love watching them meander back to the coop as dusk closes in and the light starts to fade. I love living simply, in as close a rhythm to Nature as I can muster. With that, I have four pounds of beans waiting to be blanched for the deep freeze. Today I make an announcement, one I'm quite excited about. This has been quite a while in the manifesting, so to speak, mostly because mamamuse has been challenging me every step of the way. But now, the door, long unlocked, has opened. Beginning two weeks from today, on September 10, I will be offering an art journaling workshop called "heART Journaling" at The Phoenix Rising Center in Thomaston, Connecticut. ::squeel! :: This is an 8-week journey of holistic inquiry, self expression and … manifestation, explored through the simple practice of daily art journaling. You can get more details at the Center's site or on our Facebook Event Page. I've been consciously journaling on a regular basis since 1994, mostly words, but even in my early days drawings and doodles would find their way into my recorded expressions. I can't remember when it was, but it wasn't too long ago, maybe 3 years, that I began keeping art journals. What they were then and what they are now are … quite different … and yet, not. I've always drawn and kept sketchbooks, but the experience of art journaling as an intentional practice has awakened sleeping parts of me, and has guided me to altogether "new" territory … and my heart is glad for that. Thus the name, "heART journaling." As a being who responds to visuals, keeping such a record of questions, observations, witnessings, experiences, etc., has made the process of review so simple that I am able to more easily see the patterns in my life, my dreams, my desires … my path, and I find myself living with greater awareness, gratitude and grace … and making conscious choices that nurture the best parts of me and my world. heART journaling is Good Medicine. This may sound a little crazy to you, yet I can say that, in my experience, a little crazy rOcKs! So if you're in the Thomaston area, I hope you'll consider joining us, beginning September 10, at The Phoenix Rising Center for this heARTful workshop. I have a sense it will be an intriguing journey for all! So check out the links and, of course, if you have any questions, feel free to post them here. This past week I've been mostly busy with garden harvests. I canned more tomato puree and will have more to do, since the plants are still producing nicely and loaded with fruit. This morning I went to the Watertown Farmers' Market in search for cucumbers. Alas, I found none suitable for half sours. My plants really struggled this year and didn't produce much. Such is life. Nonetheless, I came home with some lovely little zephyr squash and gorgeous beets. When I got home I harvested some turnip and commenced making kabees, a new favored way to preserve and enjoy turnips. I made a two quart batch sans beets a couple weeks ago and have already polished off a half a quart. I know they'll continue to get even better with time, but to me, they were delicious in just one day! They're beautiful with the beets, though, don't you think? I've also started listing some of the new mini journals I've been working on. You can find them at my ArtFire and my Zibbet shops. There's more of them to come too - keep an eye out! So, yeah … that's what I've been up to lately. You? Today, with the help of a good friend and accomplice, I got a gallon of eggplant pickles prepared for preservation and a four quarts of yellow squash fermenting. The eggplant is so simple and should be ready to start eating in the next couple/few weeks. We just cut the eggplant in 1/4-inch slices, put a few sprigs of fresh spearmint in the bottom of the jar and began layering a couple of inches eggplant with some garlic and rough-chopped jalapeno peppers and a tablespoon of sea salt. There was no measuring, really, except for the salt. We layered until the jar was filled, topped it with three more sprigs of mint, filled the jar with living apple cider vinegar, used a small jar to push the vegetables below the liquid and capped it. It's already smelling amazing. I've never tried this method before, but when I saw this video I knew I had to try it. There's no heat processing, and the eggplant should remain safe and good for … years, it seems. I'll see. Though I have a feeling they won't last that long - meaning they'll be eaten! I'll keep you posted. Then, along with a garden frittata for supper, I roasted these baby eggplants that I got from Dineberg's Farm. I minced some (well, a lot) of garlic, salted it and blended in a couple tablespoons of olive oil, a splash of one of my herbal-infused vinegars, some freshly crushed dried oregano, celery seed, cayenne powder and let that sit while I prepared the eggplants. I gave each eggplant two slits from stem to blossom end, creating four sections still attached to the stem, and stuffed-n-drizzled the garlic mixture into the center of the four quarters. They were arranged in a dutch oven, covered and placed on my grill, set to a moderate heat (about 350F) for 10 minutes. Then I turned them, replaced the lid, and let them roast another 5 minutes or so. These were so freakin' good. The Boy ate a few and … I ate the rest. Yep. All of them. They were that good. Yep. That's what I made today. Good eats. Today I made my way into the gardens. I planted more. I harvested more. Some of my harvest was more rhubarb, and I made some rhubarb preserves. I added organic, dried rosehips and orange peel and am pretty happy with how it came out. Combine in a pan and bring to boil. Simmer until soft. Pack into half-pint/pint jars. Seal. Process in a hot water bath for 15 minutes. Let cool. Check the seal. And, enjoy, of course! I also managed my final preparations for the lecture I'm offering at tomorrow's Connecticut HerbFest Country Fair. I'll be there all day tomorrow, so if you're in the area, stop by, introduce yourself (even if we know each other, it'll be fun!) 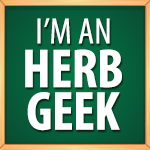 and join the merriment of HerbFest! Sunday I plan to plant a little more and relax with some arting, getting back to my Book of Days and other artful projects I've got going. So … I'll see you then!